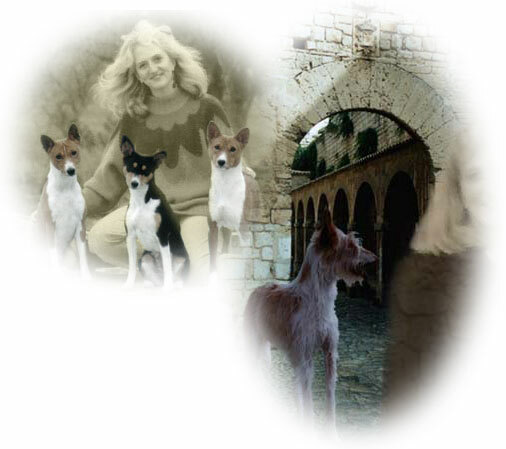 My mother had been a Dalmatian fancier and breeder for more than forty years, so I grew up with dogs. Realizing that I didn't have enough space for another Dalmatian, I turned to Basenjis and later on (when I did have more room) to Ibizan Hounds as well. Education is a primary theme for me, both in my dog life and my other life. I believe that the more information that is gathered, the more good news and bad news you are going to learn. No dog is perfect, and no single breed is perfect for everyone. Gathering of such knowledge allows us to make better decisions that fit our values and lifestyle. I have no human children of my own, but I have been fortunate to have had children in the families who have adopted my dogs express an interest in learning more about the sport of purebred dogs from me. Through them, I have been able to pass along much of what I have learned over the years. I have delighted in watching them grow up with the sport in multiple venues including Junior Showmanship, conformation, and lure coursing. Breeder-owner-handler of multiple national and regional specialty winners, Westminster award winners, and national Top Tens. Ibizan Hound Club of the United States "IHCUS"